Filippo Macelloni, the Italian architect-turned-filmmaker, has worked on many projects both within and without the field of architecture. 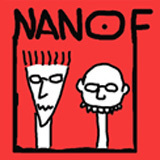 With Lorenzo Garzella, Macelloni founded Nanof in 2001. Having left architecture to pursue a career in filmmaking, several of his films have dealt with issues concerning architecture and urban design: most notably with regards to Italian "starchitect" Massimiliano Fuksas. His films, however short, show his sensibilities as a world-class filmmaker, while still being able to focus in on and showcase the architecture. His artistic and compelling films are able to capture the projects in such a way, that, instead of solely documenting what is there he is able to capture the underlying spirit and experience of the architecture.